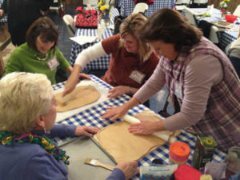 Grab your foodie friends from work, church, or homeschool group and schedule your own Cooking Class. 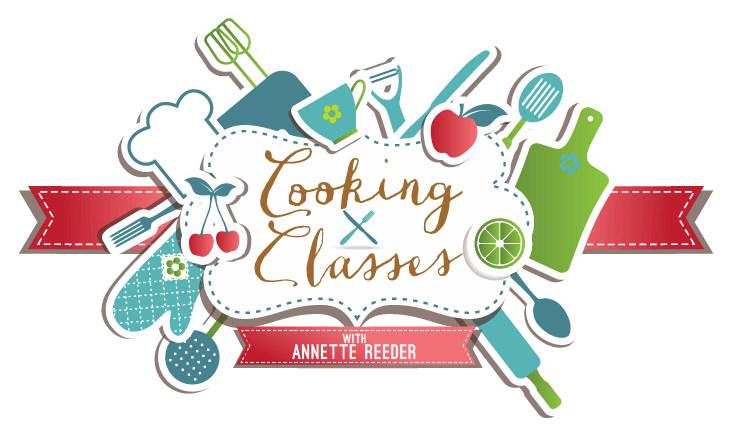 We often have available classes at the Flavor of Grace kitchen in Glen Allen, Virginia however Annette and her team love to travel for classes all over the country. The Meat of the Matter - Learn the basics of buying, cooking and adding healthy proteins into the diet. The Woman's Diet - How to feel your best, look your best and enjoy your best day! The Kid's Diet - How to feed kids today for a healthy tomorrow. Biblical Feast in scripture is a time of renewal, rest and restoration. Today we need the same. Twice a year our bodies need to take time to renew, rest and restore. Nutritionally that is vital to our livelihood and energy level. 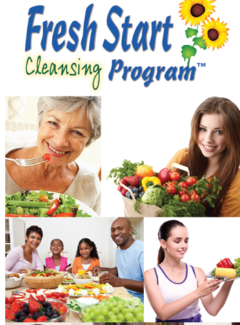 Join Annette Reeder as she presents the Fresh Start Cleanse. This 5-week program is designed to bring possible healing from inflammation, addictions, food allergies, hormonal imbalances plus much more. The program involves eating God created foods in their natural form. Supplements are added for a more thorough cleanse. Don't worry this is not a stay-at-home near the bathroom cleanse. This is a normal daily activity cleanse. This class has already happened - check this link for a replay. Have you noticed children today are born sicker than ever before? Add in the high increase of infertility and it is apparent we are dealing with a lack of knowledge. Join Annette Reeder as she shares important tips for creating a healthy environment for a healthy child. No matter if this is your first pregnancy or your sixth pregnancy - this information is key to having a healthy baby. This information is also very applicable no matter what age a woman is. So those of you not yet ready to start a family, or you are a grandmother - you will gain valuable knowledge from listening in. The best time to prepare for pregnancy is at least 12 months prior to conception. Learn the value of God’s foods while balancing blood sugars, prevent heart disease and gain more energy. The class will be for 2-3 hours. The class includes hands-on fun and great flavors. These recipes will delight while teaching key cooking skills and making healthier meals. Feeling the knead for some homemade bread? Roll up your sleeves and get ready for a hands-on class on the Bread of Life. From making all-American cinnamon rolls to Italian specialty pizza rolls, you’ll learn tips and techniques for making the best bread ever. To top it off you will learn why Jesus compares himself to the Bread of Life. Bread that satisfies physically and spiritually. Enjoy an evening with delicious delight as we make different flavors of ice cream in one evening. See how simple it is to make HEALTHY ice cream that will please everyone in the family. The new ice cream maker attachment for the BOSCH Universal Plus and Nutrimill Artiste is so easy to use. There’s no canister to freeze overnight and you’re not limited to one batch and one flavor. With the new ice cream maker attachment, delicious, homemade ice cream is only 20 minutes away! You can make up to 1.5 quarts of ice cream per batch (the perfect amount). 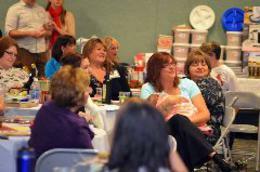 These classes listed are an example of what can take place at your church or ministry. Mix the wide variety of foods available with the assorted spices of recipes; stir in Annette's humor and expertise and you have a program sure to please even the finickiest eater. Contact us today to get schedule a Designed Healthy Living cooking class for your group.